The tines on this drill bend backwards and touch the frame so often that it’s kinking the seed hoses. It’s impressive it can actually flex that much! This was not so much a traditional test where I visit a newly-launched machine. Instead I visited two farmers who have designed and built their own 'backyard' air seeders using the Taege 6m cultivator as the base. 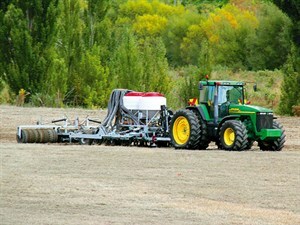 Both machines have become somewhat of a prototype for the new Taege air seeder soon to be launched at the National Fieldays. Both machines I tested did exactly the same thing, using the same Taege cultivator, but had slightly different configurations of home-built air seeders. Both owners of the backyard air seeders had previously owned at least one of Taege's conventional drills and had a great run out of them, which is why they were happy to take a punt and put an unknown air seeder on top of a successful cultivator. 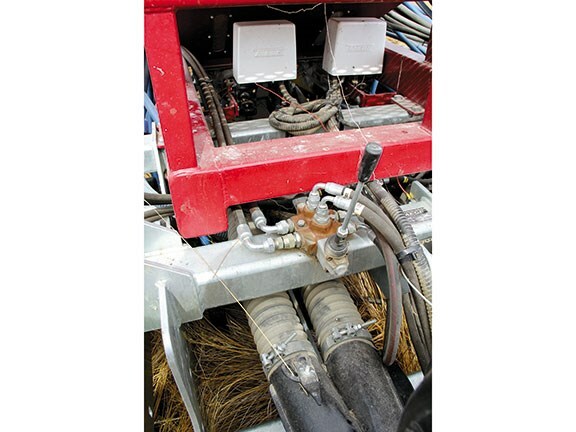 The main components on the machines are the same — Taege electronic drive units and monitor, Accord metering systems, and twin distribution heads at the rear of the machine with double-shoot droppers to the 49 boots. 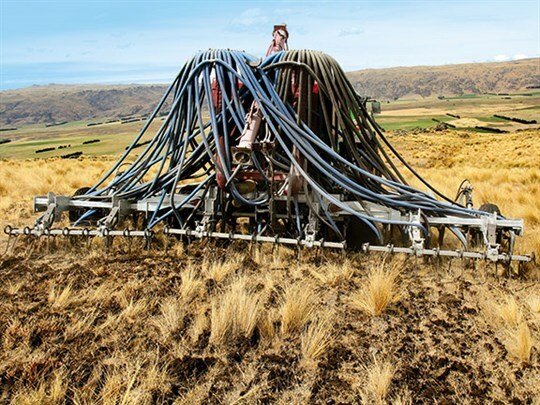 The first cultivator/air seeder combo belonged to Simon and Erin Elworthy, who live almost as central as you can get in Central Otago, yet I felt we were nowhere near central to… anywhere. It was, however, one of the most scenic locations I have been to and very close to the Central Otago Rail Trail, which contrary to popular belief, is not a rail trail at all, but actually a 150-kilometre bike track. 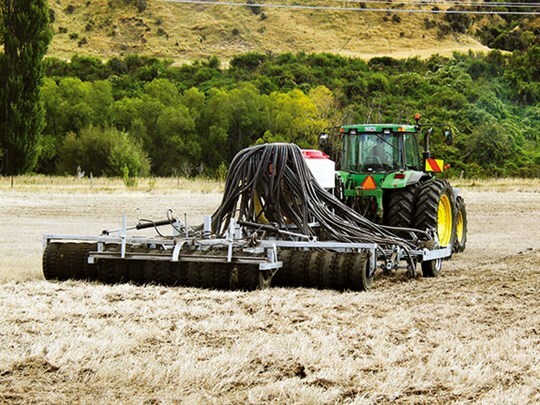 To get his machine to where it is today, Simon sat down with Nathan Bagrie from Johnson Gluyas Tractors in Timaru to nut it out. Simon says it was Nathan who really did the hard yards and much of the credit should go to him and his team. Originally, they drew up the air seeder drill very primitively on an A4 piece of paper and sent it to a local engineering shop. After a few tweaks, many a late night, and a few beers, Simon was drilling new grass into ground that potentially hasn't been renewed since it was cleared decades ago. 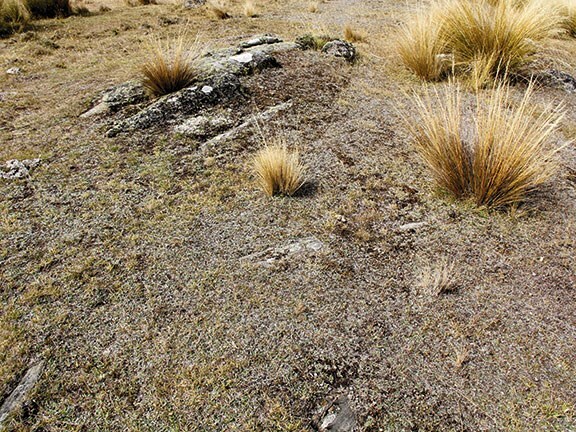 To be honest, it was some of the worst drilling conditions I have ever seen — not so much for the contour, but it was rather the chest-high tussock and hidden rocks that really got me. These types of ground are a nightmare for any drill. Add in smothering grass weeds and you have almost everything that constitutes ground that shouldn't be drilled. The beauty of the cultivator is it rips through the grass and helps break up the smothering thatch with its exceptional trash clearance properties. These are due to the shaking tine effect, which allows it to weave its way through the tussock where other drills Simon has owned ripped the tussock straight out of the ground and would block up within 10 metres of starting, rendering themselves useless. Simon drilled 70 hectares last season with his old Taege drill and since taking delivery of his new cultivator/air seeder drill combo in October, he has drilled 80 hectares this year. This might not sound like much, but when this harsh landscape can fatten more lambs and in turn deliver more to the bottom line than ever before, Simon is determined to drill as much of the 5000-odd acres of hill country he can. The second backyard machine I tested also hails from very similar roots. 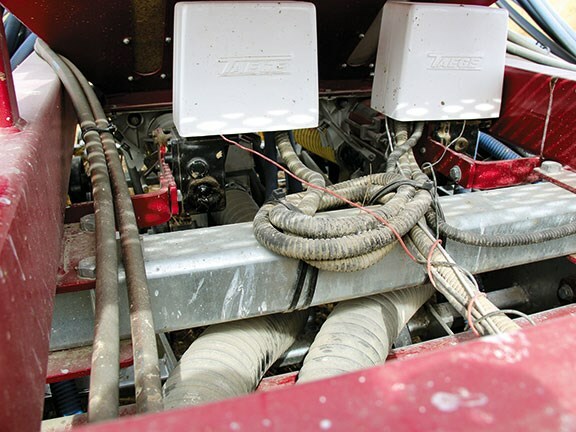 Steve Carr and Mark Forrester, of mid-Canterbury, had both experienced great success with their old Taege drill, which motivated them to give the air seeder concept a punt. Steve was the brains behind the operation, having a number of years' experience seeding in Australia and New Zealand, so knew both what he was doing and what worked. 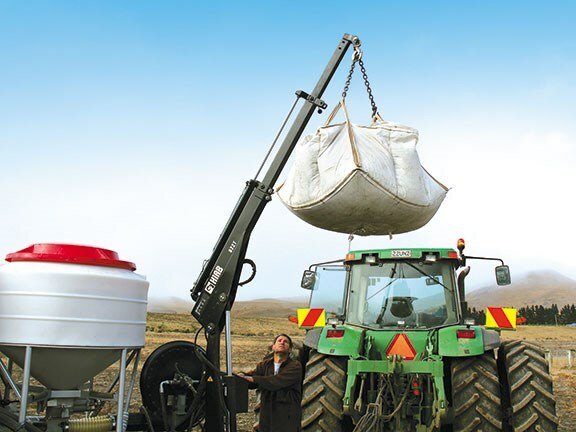 His concept was to place lightweight plastic bins on top to keep the overall weight of the machine down, but also to allow the operator to see the remaining seed level in the hopper from the cab without the need for internal cameras or sensors. to divert oil from the wing folding rams to reduce the need for additional hoses. The ground conditions were not quite as challenging here in the middle of Canterbury's wine country. 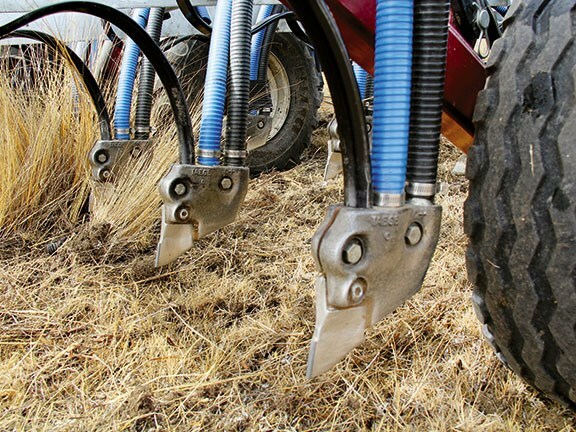 However, the large rocks and gravely soil which are perfect for growing grapes, are a nightmare for disc drills. 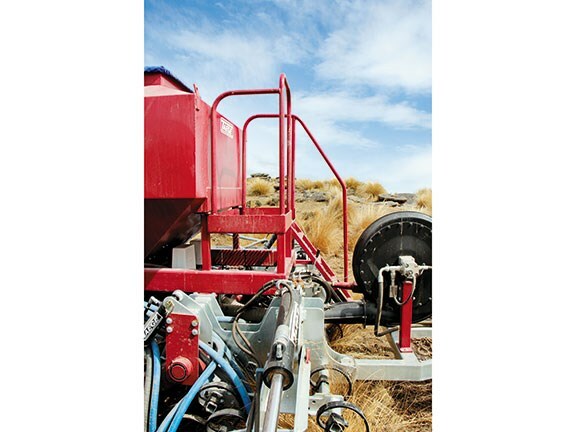 This combined with the price of a six-metre disc air seeder and the associated running costs made the Taege air seeder combo a very cost-effective alternative. Tine mounting: Enabling the tine to bite in with no down force is achieved by tilting forward the box section where the tine is mounted from. This does two things — firstly it penetrates into the soil (as the spring tine has no other option than to go down), and secondly, because the tip is on an angle, it shatters the ground underneath, creating a nice fluffy seedbed. Contour following: Contour following is the next key advantage with the tilting of the 'S' tine and its flexibility with 200mm of travel from one tine to the next. It essentially folds back or tracks around stones and humps and hollows to stop the middle tines ploughing straight through humps, which means the seed is six inches underground and the outside tines are on the surface. Now, you look at the tines working on a flat paddock and you see them moving and think, 'yip, that's a handy feature'. The ground where Simon Elworthy's air seeder was working was so tough, the tines were flexing so much they were touching the frame at the back, and this was happening so often it was starting to squash the seed hose. 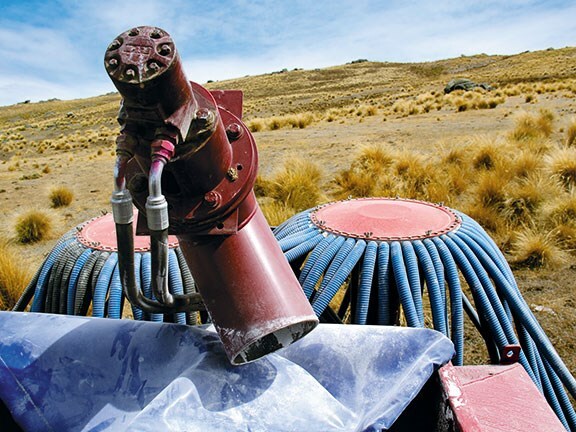 The wing rams are slot mounted to allow for increased contour following, again without the need for hydraulic down pressure which would evidently make the machine rigid and rendering it useless on this type of terrain. Trash clearance: The last point (and arguably the most important, particularly for Simon Elworthy) was trash clearance. 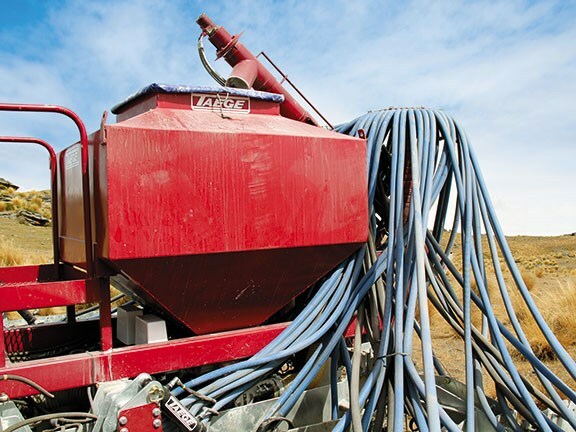 Often these machines are used either straight into old sprayed-out pasture, where sod buildup can be an issue, or to re-cultivating ground after crops, in which case crop residue can be a nightmare for any machine — no matter how expensive it is. This machine allows the trash to flow through smoothly again tied into the angle and flexibility of the tine. 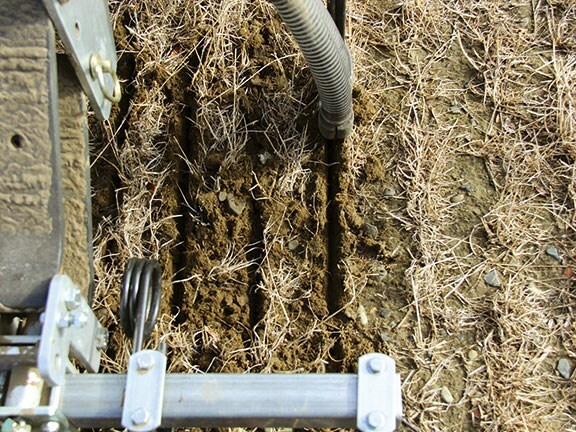 As the tines work their way through the ground they create a shaking effect, like a fish swimming. As all 49 tines on the six-metre version are wiggling their way through the ground, any trash built up is vibrated off and sent on its way out the back and through the tine harrows, which can be adjusted based on how aggressive you want them to be. Although not mentioned earlier, I squeezed in a third visit to see Andy Stokes in Canterbury, who also has a Taege cultivator and a 3.6-metre conventional seed drill, all designed and built by Taege Engineering. 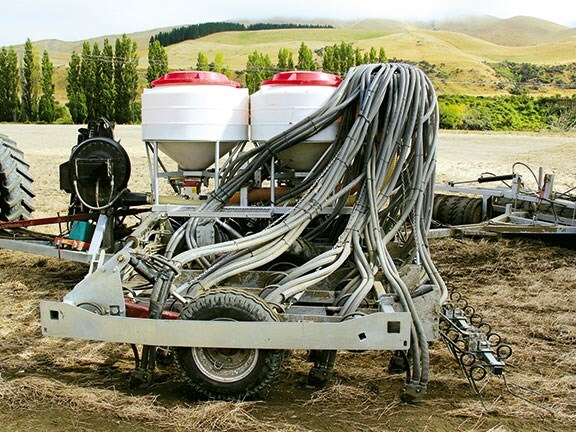 Now, the interesting thing here is the 3.6-metre drill has also been rigged with an air seeding unit with two small 220L hoppers, allowing Andy to put insecticide in the front box and small seeds in the rear box. This makes the machine very efficient and allows insecticide, grass seed, and fertiliser to go down the shoot, as well as small clover seed to be broadcast behind the tine harrows. A roller is also pulled behind the machine to create a nice firm seedbed for plant establishment. I mention this machine because when Taege releases its new air seeder at Mystery Creek, these small hoppers will be able to be mounted to the machine. It will all be hooked up into the one air system so each individual ingredient can go down the spout with precise accuracy, rather than relying on the seed companies to create a consistent mix of your red clover in the grass seed, for example. 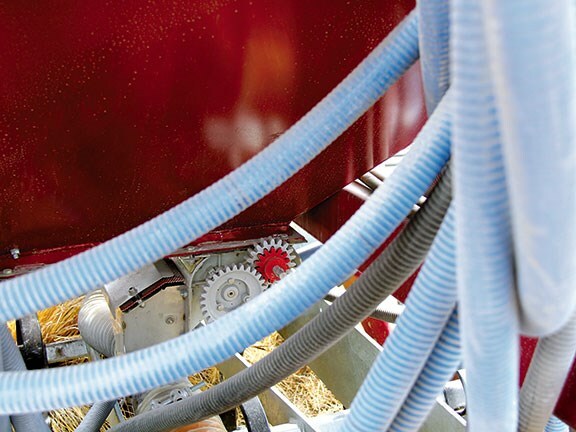 Although there were some teething issues predominantly to do with the hydraulic system on the cultivator, which is a direct result of the additional weight added to the middle making it behave in a manner different to what it was originally designed for, both machines work exceptionally well. 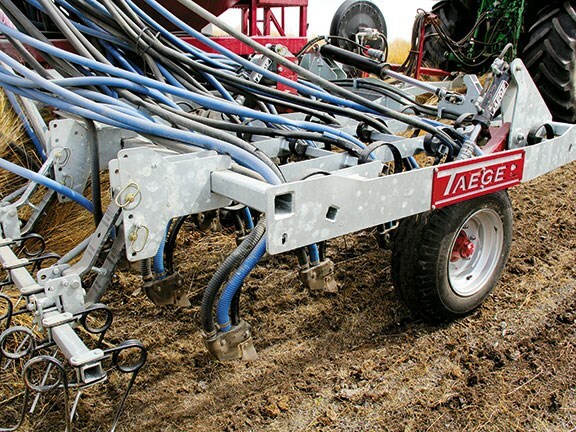 Having two keen farmers willing to take a punt and design and build an air seeder using a Taege cultivator, as well as some Taege components, has been an invaluable R&D exercise for Taege — particularly when you compare it to the very extensive and very expensive R&D programs of European manufacturers. These guys have put it all on the line giving this a nudge and, like any keen punter will tell you, high risk equals high return. Given that one of these machines is drilling land that has never been re-grassed before is enough evidence for me that there are big rewards to be reaped from the new Taege air seeder.